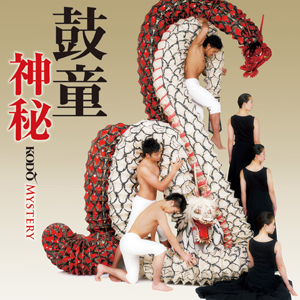 ﻿ [Kodo Online Store in English][CD] Kodo "Mystery"
All Items > CDs > [CD] Kodo "Mystery"
Item Name [CD] Kodo "Mystery"
This brand-new studio recording captures the essence of the stage production "Kodo One Earth Tour: Mystery," directed by Tamasaburo Bando. All eight tracks are original compositions, each one a piercing ray of light from within a sacred world of darkness. We hope this album takes you on a voyage to the extraordinary, to a mysterious realm that lies in the beyond. Sit back, close your eyes, and let the sound of "Mystery" conjure a wondrous world deep within your mind, where darkness & light intersect and stillness & movement entwine.